Female fully winged or wingless. Body and legs brown, tarsi and apices of tibiae yellow; antennal segment III brown but IV–VI yellow in basal half; fore wings pale. 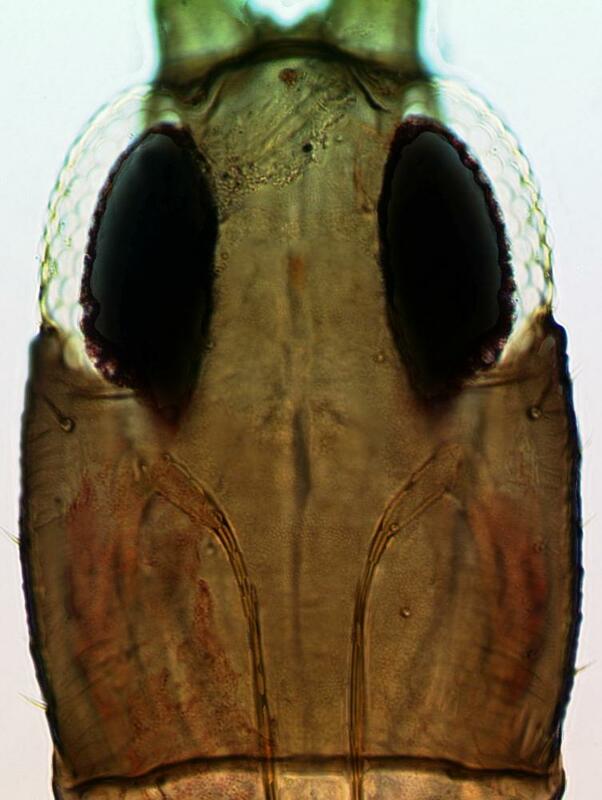 Head longer than wide, with eyes large and prolonged posteriorly on ventral surface; postocular setae small, wide apart; maxillary stylets retracted to postocular setae, about one fifth of head width apart. 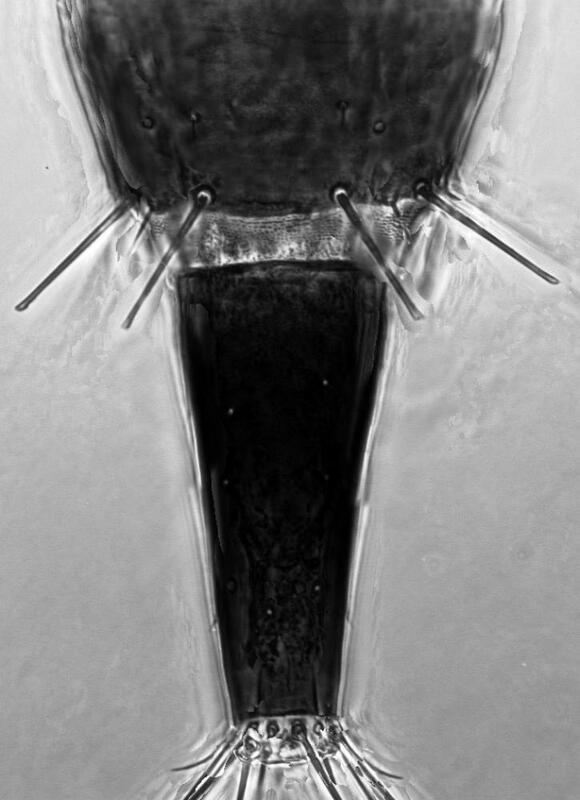 Antennae 8-segmented; segment III with 1 sensorium, IV with 2 sensoria; segment VII with broad pedicel. Pronotum with only 2 pairs of major setae, epimerals weakly capitate, posteroangulars blunt at apex; prosternal basantra not present. Fore tarsus with small sharply pointed tooth. Metanotum without sculpture. Fore wings parallel sided, without duplicated cilia. Tergal wing-retaining setae weak; tergite IX setae S1 and S2 weakly capitate, shorter than basal width of tube. 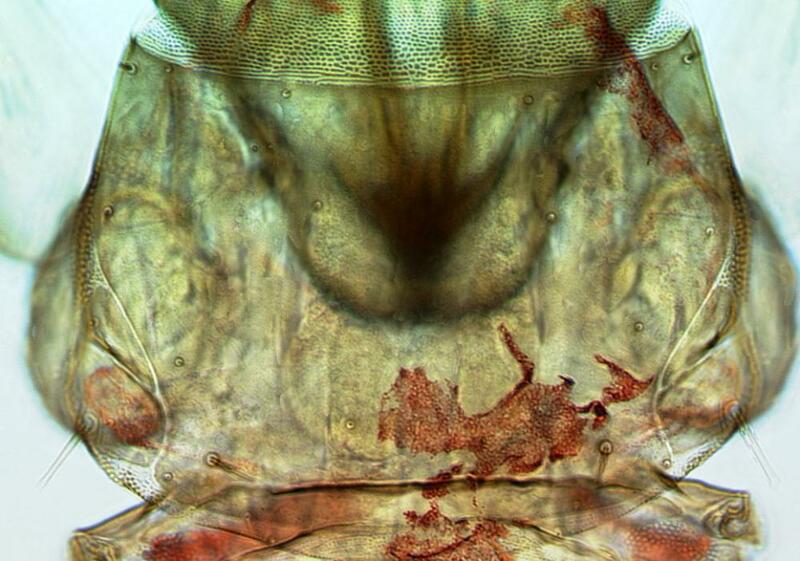 There are eight species listed under the genus Cephalothrips from around the world, but only C. hesperus Hood has been described from North America. That species differs from the widespread C. monilicornis in having the eyes not prolonged on the ventral surface of the head. Various Poaceae, with no recorded specificity. Widespread across Europe, also New York, British Columbia, California.